Carved out of the dense Lunenberg forest, Lunenberg National welcomes you back to nature. This rugged 18 hole, 7106 yard track features some breathtaking beauty, multiple shot shaping opportunities and a stiff, but fair test of golf. Nothing is more serene to me than a course which encompasses you in nature, but doesn't flaunt it with unnatural and overuse of human interaction. The trees and planting here is so brilliant that you notice it right away, but doesn't distract you from the course or other wonderful things going on. There's not a lot of steep elevations changes, there's not a lot of over-the-top bunkering. There's not a lot of water in play. There's not a lot of funny hills and designs. It's 100% natural and exquisite golf. This course shows the true power of the boreal theme. Every tee shot is a picture-taking moment. Every par-3 is a beautiful tapestry. And every golfer will leave happy after playing this track, no matter what you shoot. -Stunning views from the tees to the green. -Well-designed fairways, greens, and slopes. -Par-3s look and play great. I have to disagree with the official review of this course. This is a prime example of an otherwise lovely course being completely ruined by overly difficult greens. I strongly disagree with the design philosophy of trying to boost the difficulty of a course by adding unrealistic, unenjoyable amounts of slope to the greens. The whole experience is ruined once you get on the green only to face insane amounts of break in even the shortest putts. Disappointing as the rest of the design is solid. 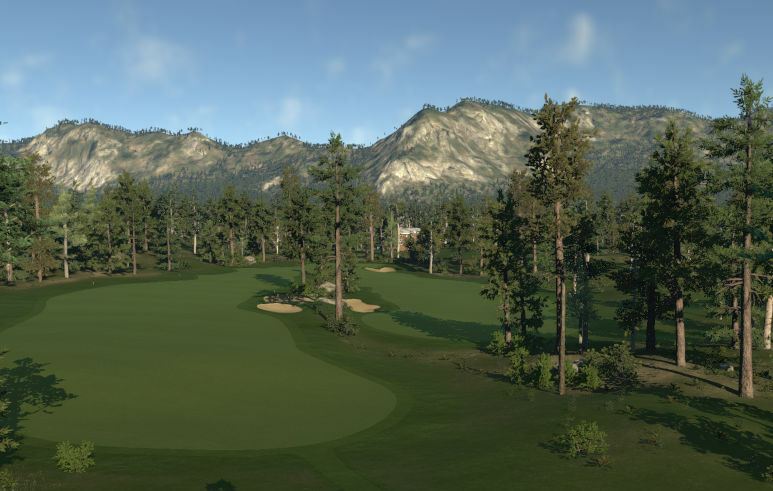 Wow; I wish this boreal course existed in real life. 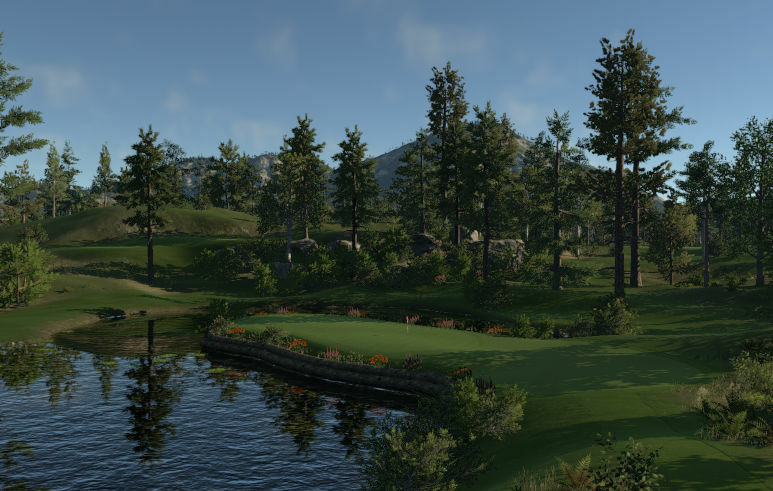 From start to finish, the course is simply a treat to play. The designer has an excellent grasp of the Course Designer, as evidenced by the superb bunkering, solid planting (most notably the rock work), and beautiful holes. The boreal theme works great. The par 3's had some spectacular holes. Hole 2 is a short par 3 over water to a contoured green and hole 16 features a "peninsula green," with amazing plant work. However, my favorite was 11 - not only is it a great golf hole, but the hole looks real and the blend of grass to water is the best I've ever seen. The bunkering looked fine and the greens were well-contoured, though I would note some of the slopes lacked uniqueness. The only slight problem with the course, to me, was the par 5's...none of them really stood out. Hole 9 had a solid intention of a split fairway, but I don't think the execution was there. Hole 13 had a boring first half of the hole, but rebounded nicely with a unique green complex. 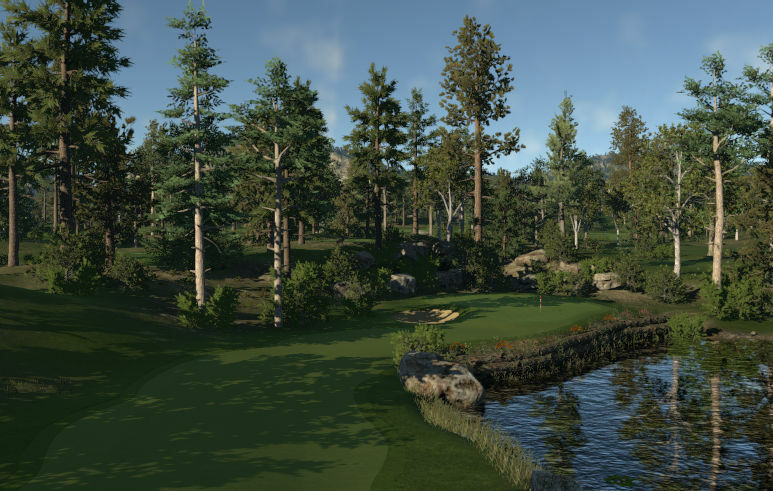 By and large, the course represents one of the best boreal courses in the game and an experienced and innovative designer (log retaining walls, stone work, new hole designs, etc.) I strong recommend this golf course to all golfers. Overall, Lunenberg National Golf Club represents one of the best boreal courses in the game and another amazing work by the designer. The course merits a score of 4.75/5 and will be a serious contender for TGC Tours.